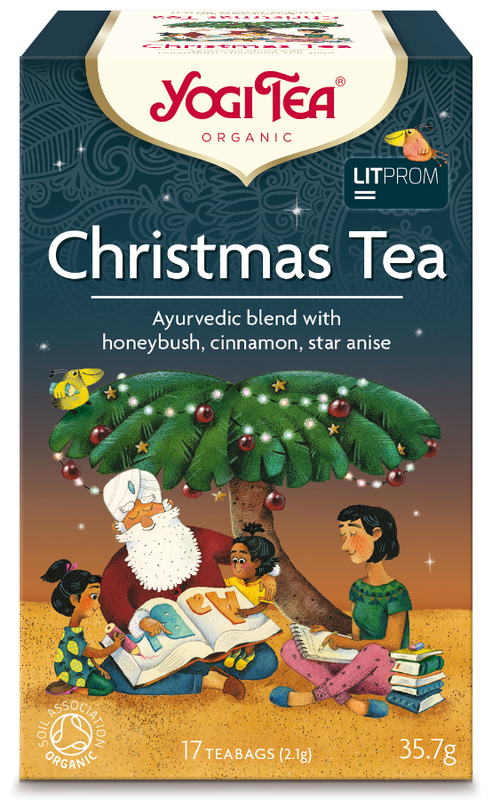 A perfect cup of Christmas flavours with warm notes and exotic spices. Yogi ayurvedic herb & spice infusions with fruit and spice extracts make for a delicious cup of restorative tea. Rooibos*, cinnamon* (13%), liquorice*, coriander*, honeybush* (6%), orange peel*, cloves*, black pepper*, anise*, dried lemon juice*, star anise* (3%), cardamom*, roasted chicory*, lime*, orange oil*, cinnamon oil*. Add teabag to 250ml of boiled water, leave to brew for 5-7 minutes. Enjoy with milk and sugar if desired. The Yogi Tea Christmas Collection - 17 bags product ethics are indicated below. To learn more about these product ethics and to see related products, follow the links below. I find rooibos tea a bit strong, but the cinnamon and anise add a light spicy seasonal touch. 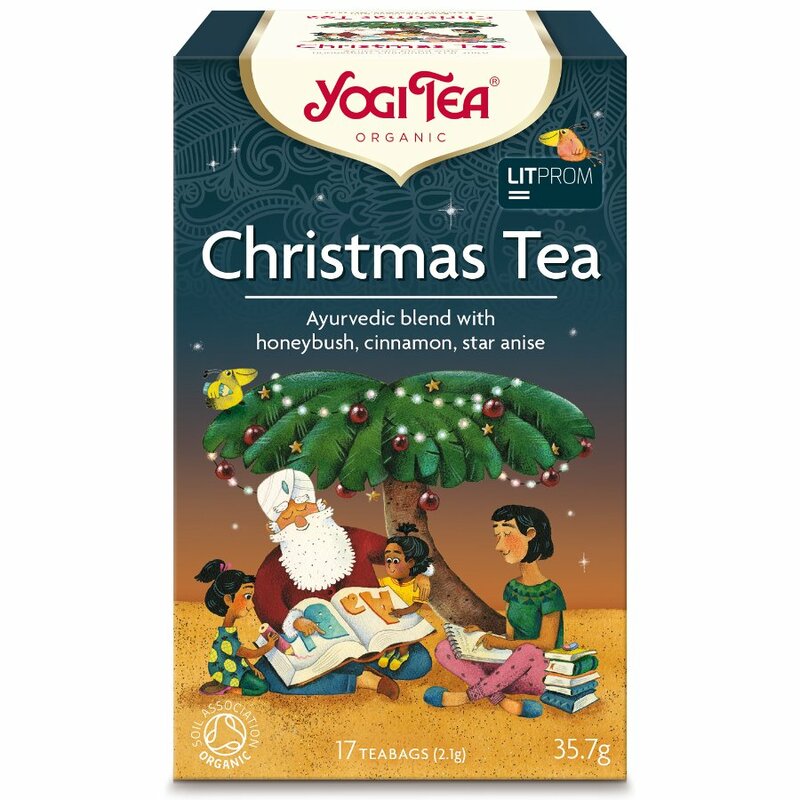 There are currently no questions to display about Yogi Tea Christmas Collection - 17 bags. Yogi Tea is not just about delicious tea , it’s about a lifestyle. In 1969 an inspiring spiritual leader called Yogi Bhajan began teaching Kundalini Yoga in America. Having studied in India, he passed on his knowledge and wisdom of healthy living to his students and after every class he would serve a special tea which became known as ‘Yogi Tea’. Nowadays, Yogi Tea works with farmers to gather organic herbs and spices across Guatemala, India, Indonesia, Africa, Europe and beyond, but stay true to the ancient traditions that first created these exquisite herbal teas.